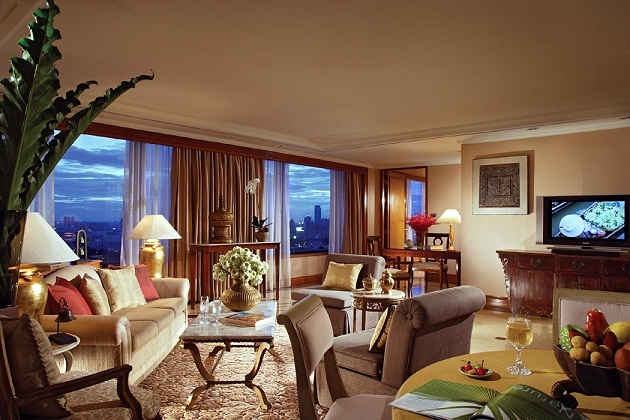 The Sheraton Grande Sukhumvit, A Luxury Collection Hotel, Bangkok, is a luxury hotel at the heart of Bangkok's business and entertainment district. 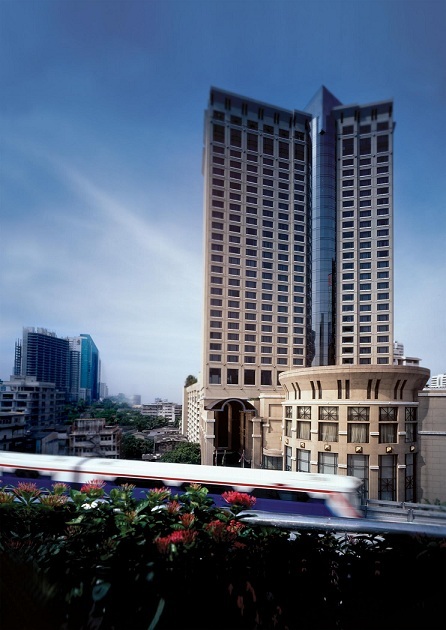 With a direct link to the BTS Asok SkyTrain station and a few steps from the MRT Sukhumvit Subway station, guests enjoy convenient access to the Queen Sirikit National Convention Center, the Stock Exchange of Thailand, and Bangkok shopping areas such as the Emporium, Gaysorn Plaza, Siam Paragon and Terminal 21. Defined by grand designs and opulent interiors, the hotel offers guests luxury accommodation complimented by exceptional service. The majestic 33-storey hotel offers dramatic views over the city and nearby Lake Rachada, while a distinctive three-storey podium with an elegant marble lobby, high ceiling, unique Thai stone carvings and sculptural water features, provides a haven of tranquillity. At the Sheraton Grande Sukhumvit, exquisite living spaces and tasteful décor, renowned restaurants, an intimate spa, exceptional business and function facilities, and unrivalled technology all combine to deliver an unforgettable personal experience. The 420 spacious guestrooms include 39 Grande Suites overlooking Lake Rachada, 3 Speciality Suites, and 3 Thai Theme Suites. 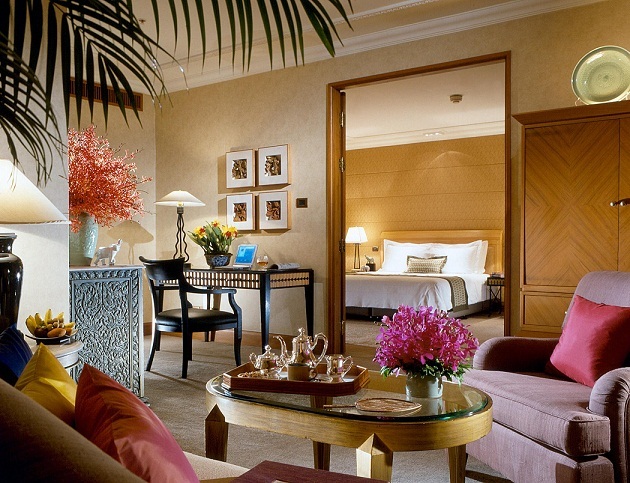 Deluxe Rooms are 45-square-meters and feature rich woods, marble, and elegant Thai silks. Guests staying in Grande Deluxe rooms or Suites enjoy exceptional Grande benefits including a delicious daily buffet breakfast at the renowned Orchid Café, complimentary evening cocktails from 18:00 hrs. – 20:00 hrs. at The Living room, The Sala and BarSu, complimentary 40 MB wired and wireless high-speed internet access up to 40 MB, 3 pieces of laundry or pressing on arrival, in-room tea and coffee, and 24-hour butler service. Grande Suites occupy 70-square-meters and provide a generous living / lounge area. Thai Theme Suites are beautifully decorated with authentic Thai furniture and antiques. Rich teakwood, marble and exquisite silks make the themed suites most indigenous. The suites provide an en suite private bathroom complete with Jacuzzi and outdoor terrace in an enchanting garden with seating area. The Thai Theme Suites provide 90-square-meters of living space. Specialty suites include the luxurious 117-square-meter Governor Suite and Presidential Suite decorated with antiques, marble flooring and hand woven rugs. Guests enjoy a spacious private living room complete with a large comfortable sofa and sitting area, dining area and pantry, powder room for guests, en suite private bathroom complete with Jacuzzi and two washbasins, and two LCD TVs (42" and 32") with DVD players. 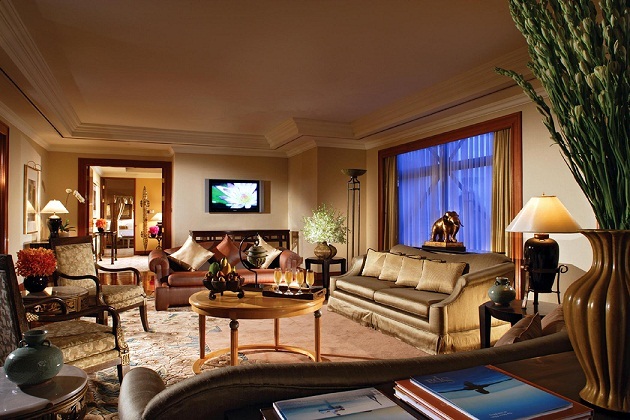 The Royal Suite offers our most discerning guests unprecedented levels of luxury and refinement. The 248-square-meter suite features a large bathroom with Jacuzzi, spacious living room, private kitchen, large dining room, study room, powder room and large walk-in closet, and 3 LCD TVs (42" and 32") with DVD players. Accommodation for disabled guests is available. Elegant design featuring contemporary Thai décor, teakwood, marble and silks. 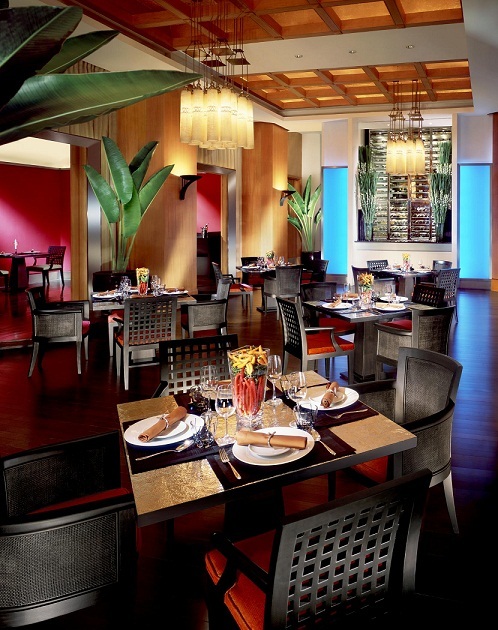 Sheraton Grande Sukhumvit offers unrivalled dining in award-winning restaurants. Rossini’s> an award-winning Italian restaurant offers a memorable culinary experience. 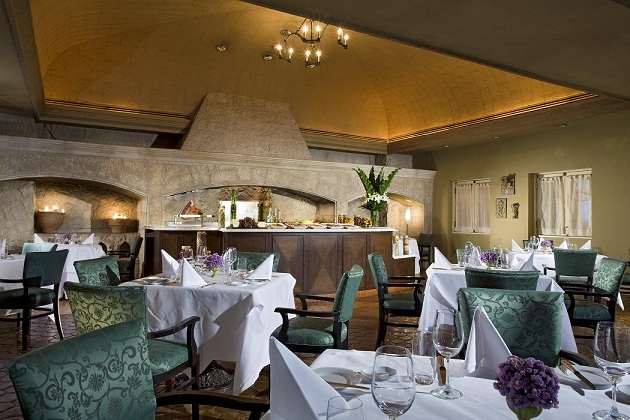 The restaurant brings diners the passion, creativity and innovative Italian taste with exquisite food and fine wines, the authentic décor of a Tuscan villa, and impeccable service. 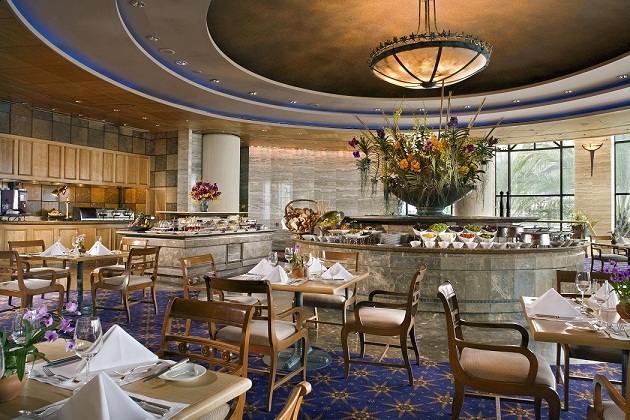 Orchid Café serves one of the finest gourmet international buffets in Bangkok for breakfast, lunch and dinner. An a la carte menu is also available. The Orchid Café also invites diners to experience its exceptional Lazy Saturday Lunch, the ideal choice for families and friends looking for a memorable meal and a relaxing weekend. basil, an award-winning Thai restaurant serves authentic Thai cuisine in a sophisticated and contemporary setting. Guests dining at basil can discover a exquisite menu of classics and creative modern dishes, all guaranteed to deliver sensational flavours and artistic presentation. The Living Room, a renowned live jazz lounge hosts nightly performances by the best international musicians and is also home to the spectacular Sunday Jazzy Brunch. The Sala's relaxed tropical garden ambience makes it the perfect place to enjoy a private function with alfresco dining, fine wines, imported beers and exotic cocktails. During the dry season, guests can enjoy a wonderful barbecue experience in an enchanting poolside setting, ensuring that every event is truly memorable. Events can be themed according to clients' wishes. BarSu is innovative and visually dramatic club with a unique ambience, cutting edge cuisine and New and Old world wines, and an eclectic selection of music played by local and international DJs. A stylish wine area hosts regular wine tastings. With its eatplaydance concept, BarSu has established a reputation as the most sophisticated club in Bangkok. Sunday Jazzy Brunch Award-winning gourmet Sunday brunch renowned as the most delicious buffet in Bangkok with fine wines, exceptional service and outstanding live jazz from international musicians. 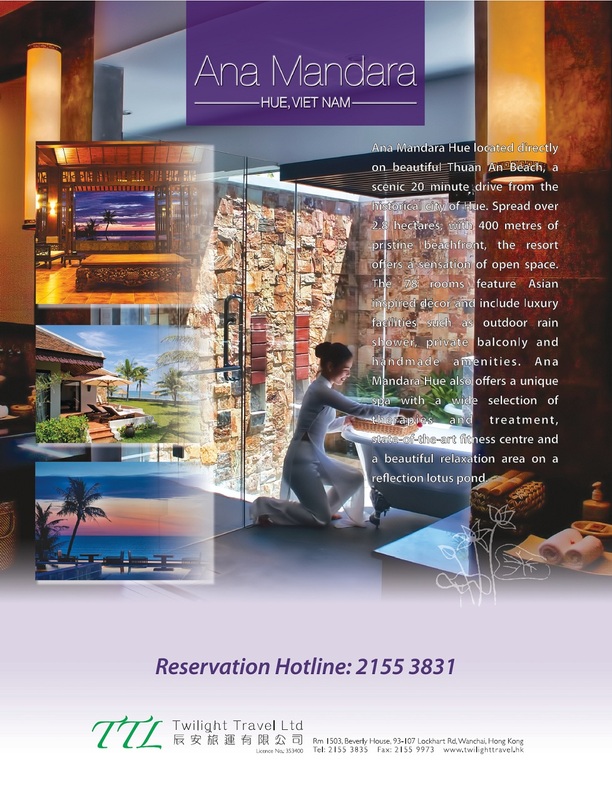 The Grande Spa offers an extensive menu of spa treatments for men and women including holistic aromatherapy, hydrotherapy, Swedish and traditional Thai massage, facials, wraps and beauty treatments. Free consultation is provided by an experienced Spa Manager and trained therapists. The Grande Spa produces its own range of superior spa and beauty products under the “Integrity” brand. The range uses the purest, organically-grown Thai herbs, flowers, essential oils, and natural ingredients that have been used for centuries in Thailand for their medicinal and healing properties. The unique products are used in the Grande Spa’s signature treatments. 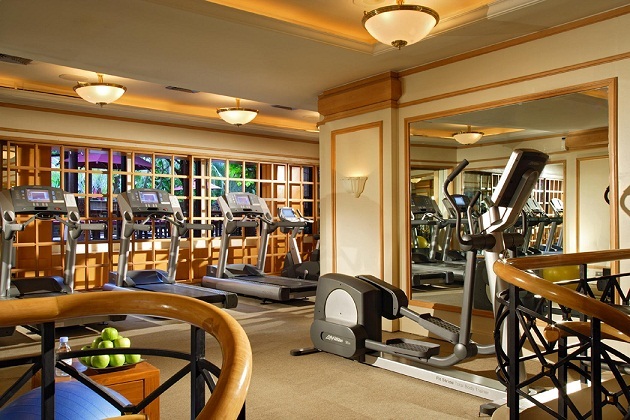 The Fitness Club offers personalised exercise programmes with supervision from professional trainers. The club features the most advanced range of weight training and cardiovascular equipment, steamrooms, saunas and Jacuzzis, changing rooms, an aerobics studio with scheduled classes, a health bar serving juices and healthy snacks. Surrounded by a lush tropical garden, the pool area is a secluded oasis where guests can escape the city and experience total relaxation. 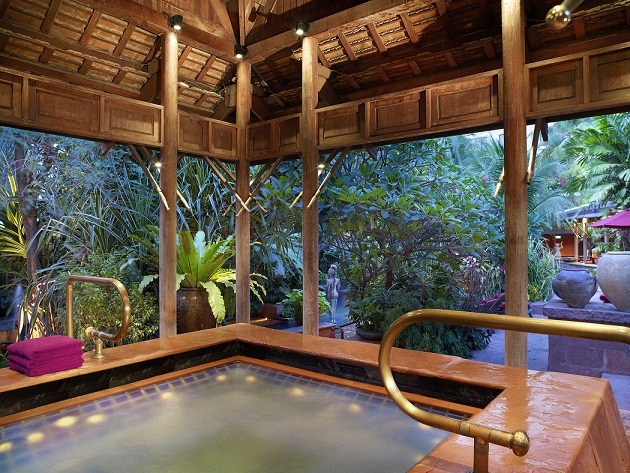 The free-form pool is one of the best in Asia. During the dry season, the enchanting gardens provide an idyllic spot to enjoy both Thai and Western favourites and barbecued delights. 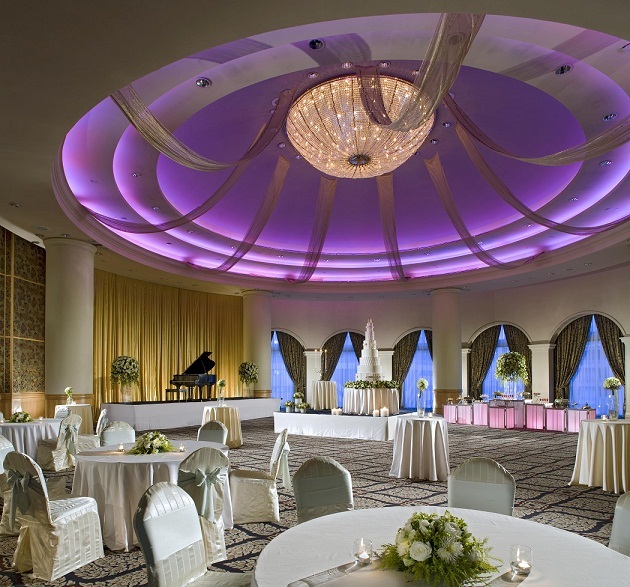 The Sheraton Grande Sukhumvit is a distinguished venue for meetings, incentives, conferences, events, weddings and banquets. The Grande Ballroom provides an engaging space for a range of large functions while nine spacious rooms offer infinite possibilities and state-of-the-art facilities. The hotel’s event management team provides the professionalism and expertise to ensure that each event is a complete success. Dedicated staff assists with every detail and can tailor events to suit a corporate identity. Creative themed parties and coffee breaks are also available. The Sheraton Grande Sukhumvit provides 40 Mbps high speed wireless and wired internet access ensures corporate clients, business travelers and other web users the best and fastest possible access to the internet. The Sheraton Grande Sukhumvit’s internet service is also provided as part of the Grande Deluxe room package which includes 24-hour high speed access inside and outside the room, while guests booking a Deluxe Room can specify a tailored internet access package. Hotel guests can enjoy quiet moments in The Library reading a book or holding an informal meeting over drinks. A good selection of reading material is available. Whether you are looking for local insight or special assistance, our Concierge is available 24 hours a day to help with pre-arrival arrangements, dinner reservations, floral arrangements, laundry service, local area information, and more. Collections is a chic boutique shop offering silk, jewelry, hotel-branded items, decorative arts, newspapers, magazines, postcards, travel guides, and much more. The hotel also features a Beauty Salon, and Tour Desk for travel arrangements, multilingual guide services, package tours in and around Thailand, group tours and individual arrangements. Experience the luxury and refinement of Sheraton Grande Sukhumvit and enjoy a truly memorable break in captivating Bangkok with our Grande Weekend offer. Rates start from Baht 6,000 per night for check-in on Thursday, Friday, Saturday and Sunday nights only. A minimum stay of 2 consecutive nights required. • Late check-out until 4 p.m. The extraordinary offer is available for stays booked and completed before September 26, 2011. 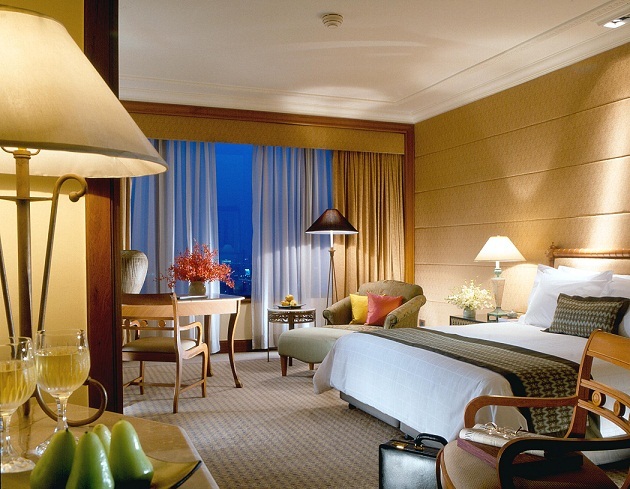 • Offer is valid at Sheraton Grande Sukhumvit, A Luxury Collection Hotel Bangkok only. 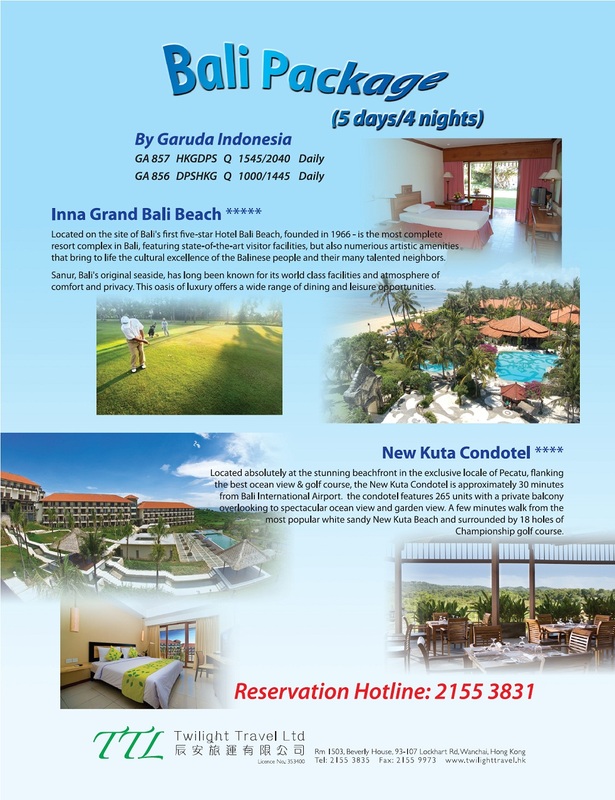 • Offer valid for stays booked and completed before September 26, 2011. • A minimum stay of 2 nights is required. • A maximum stay of 5 nights applies. 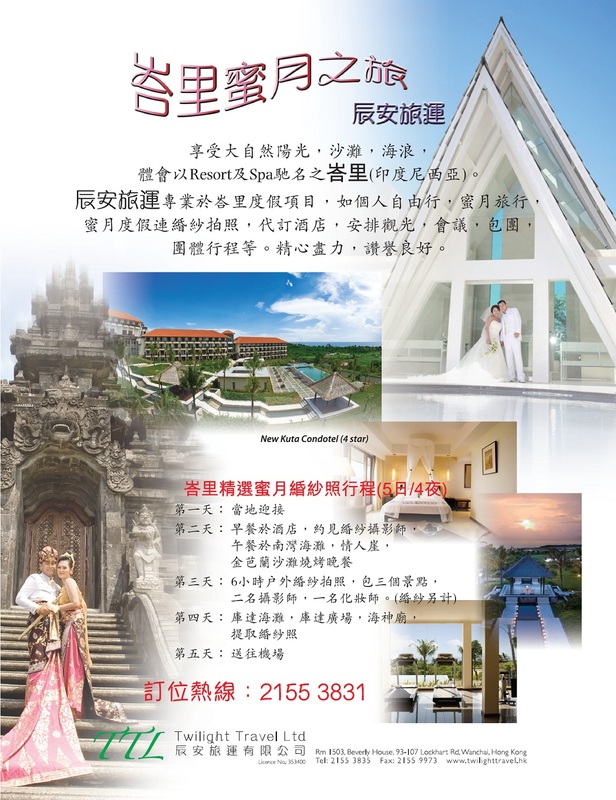 • Rates from Baht 6,000 per room per night applies to single occupancy. Double occupancy rates start at Baht 6,500 per room per night. • Offer is inclusive of daily breakfast per person at the Orchid Café, 10% discount at The Grande Spa, Sheraton Grande Sukhumvit, A Luxury Collection Hotel Bangkok (cannot be used in conjunction with special promotions), hi-speed internet access in the hotel and late check out until 4 p.m.
• Services offered in the package are non exchangeable and non refundable and may be replaced with a similar item without notice, based on availability. • Rates are per room, per night, based on single/double occupancy and availability at time of reservation and do not include additional person per room, per night charges that may be imposed or state/local taxes. 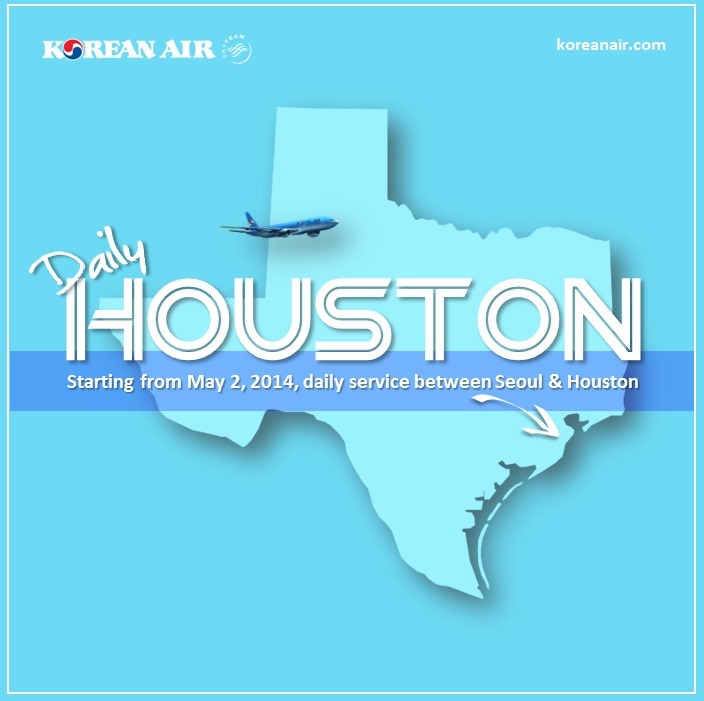 • Rates are subjected to 10% service charge, 7 % government tax. 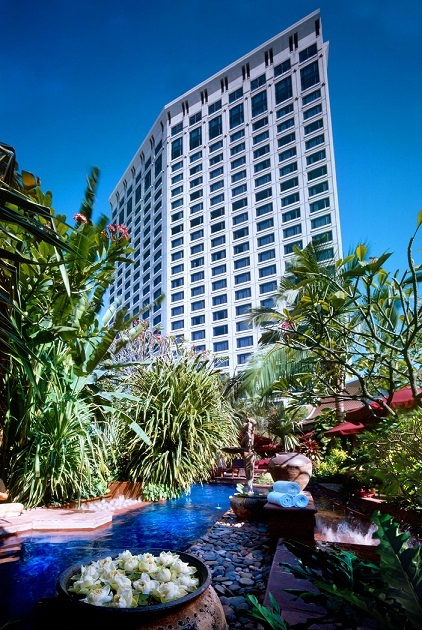 The Sheraton Grande Sukhumvit is one of a small number of hotels in The Luxury Collection, a distinctive brand of Starwood Hotels and Resorts Worldwide, Inc. The Luxury Collection® is an ensemble of hotels and resorts offering unique, authentic experiences that evoke lasting, treasured memories. For the global explorer, The Luxury Collection offers a gateway to the world’s most exciting and desirable destinations. Each hotel and resort is a unique and cherished expression of its location; a portal to the destination’s indigenous charms and treasures. Magnificent décor, spectacular settings, impeccable service and the latest modern conveniences combine to provide a uniquely enriching experience. Originated in 1906 as a collection of Europe’s most celebrated and iconic properties, today The Luxury Collection brand is a glittering ensemble of more than 75 of the world’s finest hotels and resorts in more than 30 countries in bustling cities and spectacular destinations around the world. The Luxury Collection includes award-winning properties that continuously exceed guest expectations by offering unparalleled service, style and class while celebrating each hotel’s distinctive heritage and unique character. 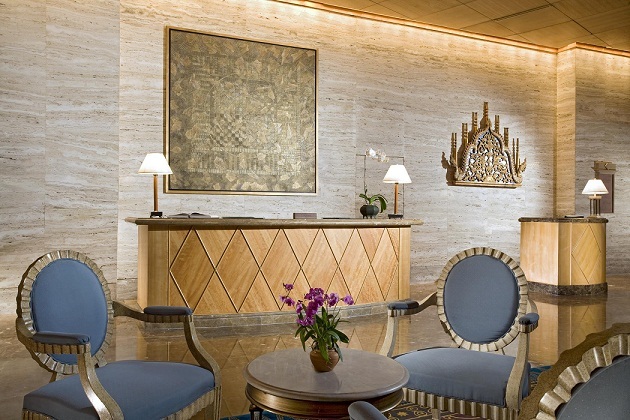 All of these hotels, many of them centuries old, are internationally recognized as being among the world’s finest. For more information, please visit www.luxurycollection.com.